Just because you’re going for gold doesn’t mean you have to break the bank. 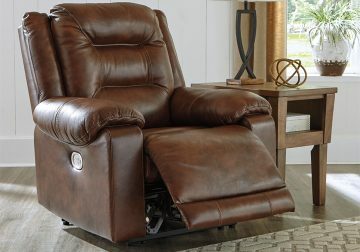 Enjoy the high-end look you long for—and luxuriously comfortable feel you crave—with the pebble grain textured upholstery of the Golstone power recliner in canyon brown. 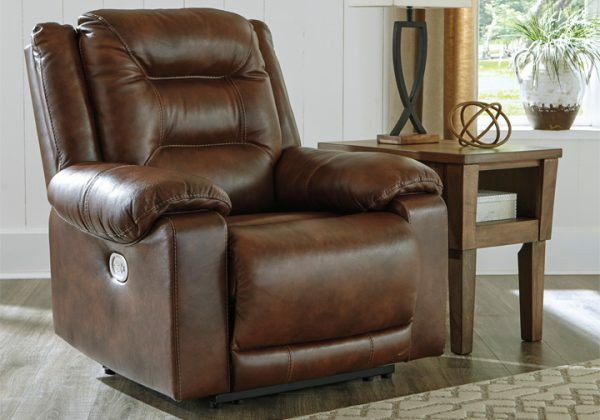 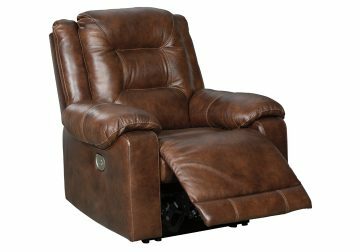 Rest assured, this power recliner’s seating area is wrapped in nothing less than 100% leather, while heavy weight leather-match upholstery on the exterior saves you money without sacrificing style. Putting more power at your fingertips, it includes an Easy View™ power adjustable headrest that allows you to recline and still have a great view of the TV, as well as a USB charging port in the control panel for added convenience.